The church was established by the English Congregationalists in 1898. Committed congregations have worshipped here continuously since then. 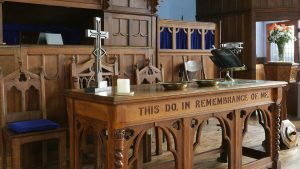 In 1972 the church joined with the Presbyterian Church of England and subsequently the Churches of Christ and the Congregational Church of Scotland to become the United Reformed Church. 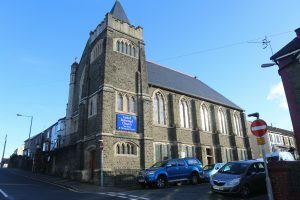 We are currently part of a group pastorate of 3 Churches which are, Bethany URC, Ystrad Mynach and Hope and Market Square URC / Presbyterian Church, with whom we share our minister. The church is a Grade 2 listed building. 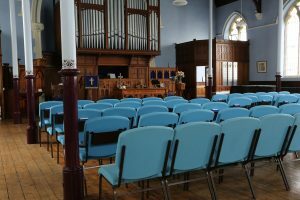 In 2008 the church embarked on a set of projects to upgrade and refurbish the worship area and the meeting rooms on the lower floor. These have been undertaken sensitively and funded thanks to church fund raising and generous grant funding from, for example The National Lottery, Caerphilly County Borough and the Welsh Government. The VanGuard Centre was set up within the church building in 2003 and functions for the benefit of the community as well as supporting the church.